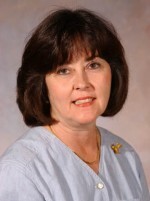 Baylor>Robbins College of Health and Human Sciences>Faculty & Staff>Faculty Directory>Janelle M. Walter, Ph.D., RD, C.F.C.S. Born in Houston, Tx., attended University of Houston for a Bachelor's degree and a Master's degree; taught for Houston Independent 6.5 yrs; Graduated from Iowa State University in 1978; Worked for the State Board of Education 1 yr as a nutrition consultant. I have taught at Baylor since 1979.